Remember the Uganda Christian University (UCU) girl whom we featured earlier this week in a interview? Her name is Justine Nanyanzi. She had surprised many when she offered to wash clothes and type coursework for fellow students in order to raise her tuition. Today morning, a good samaritan knocked on her door and as we report, the over seven million shillings she needed to complete her university education has been cashed in. Clearly, the world still has good people. They just don’t find opportunities to help. “I can’t imagine all my tuition is cleared” Nanyanzi told our reporter as she thanked this campus website for the interview. 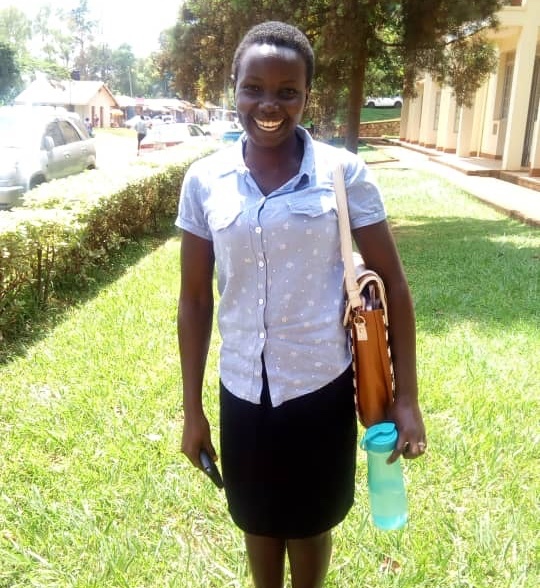 “This very morning someone called and said that he wants to clear my tuition and things just turned around like that” a visibly happy and grateful Nanyanzi told our reporter. 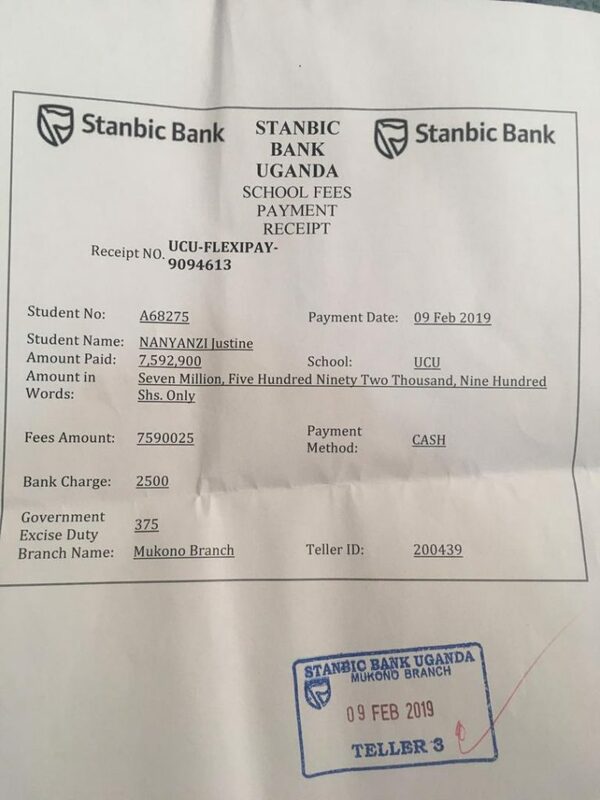 The Stanbic bank slip that Campus Bee was able to see, had a cash payment of the entire seven million, five hundred ninety two thousand nine hundred shillings that she needed for the remaining semesters. From the site, we are happy for Justine and pray that God blesses the good samaritan for re-assuring hope in humanity.